Goldman Harrison undertake all types of installation. Solid wood floors can be secret nailed or face fixed to a timber sub-floor or they can be fully bonded to either a timber sub-floor or a concrete sub-floor. Solid wood floors are not suitable to lay as floating floors or to be laid over underfloor heating. In all cases the moisture content of the sub-floor will be checked & vapour barriers will be fitted. In the case of a timber sub-floor this will take the form of a barrier paper. In the case of a concrete sub-floor we use a two component epoxy liquid damp proof membrane. Once this is cured the flooring can be bonded directly on top. 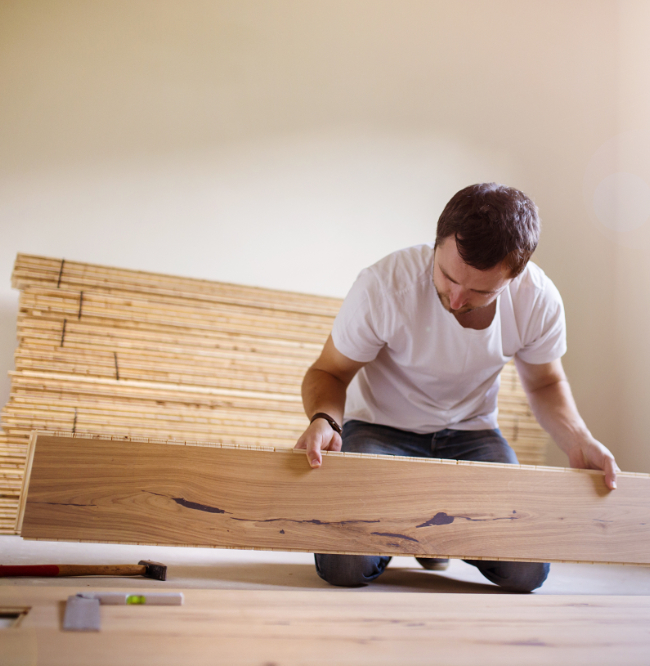 Engineered hardwood floors can be fully bonded, secret nailed, or laid as floating floors. When laid as a floating floor an underlay is used, these vary in material & thickness depending on requirements. If an engineered floor is to be laid over underfloor heating as a floating floor then we advise that it should have a click-lock style of joint. If it has a tongue & groove joint then we would advise that it is fully bonded to the heated sub-floor. We offfer a full sanding, sealing & restoration service. Sanding is carried out using Bona & Frank professional sanding machines that have excellent dust extraction capabilities. Gaps between planks can be filled in a number of ways. Fine gaps can be filled with a mixture of fine sanding dust & cellulose resin. Larger gaps, particularly those that are typical on old square shouldered pine boards (no tongue & groove) are best filled with splines, thin wedge shaped slivers cut from reclaimed planks. Although time consuming it achieves excellent results & looks much better than the alternative of filling them with an acrylic filler or leaving them open & allowing the draught to come in. Finishing is carried out with commercial lacquers such as Marldon Ceramaxx, Junckers HP Commercial & Bona Traffic, in a variety of sheen levels from ultra matt to full gloss, with satin or silk matt being the most popular. We also use a range of natural oil finishes from manufacturers such as Timberex, Blanchon & Osmo. These come in a huge range of colours & can be mixed to create a truly bespoke finish to your floor. 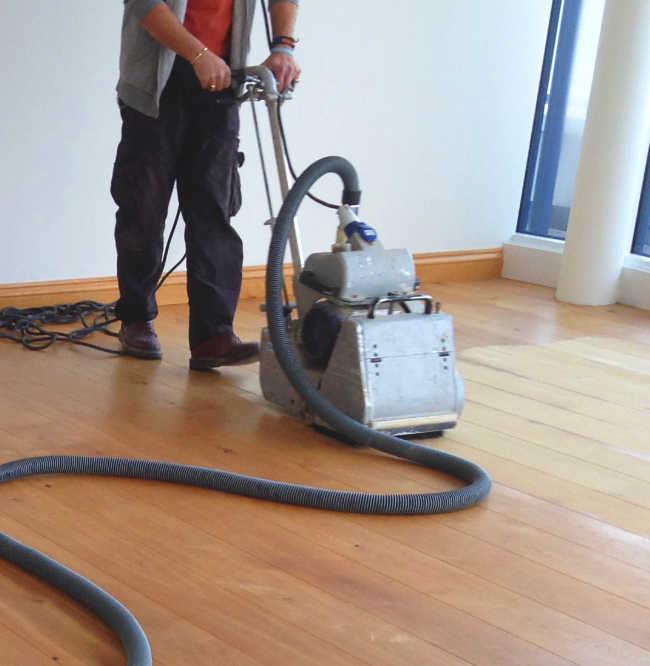 We also offer a maintenance service for both lacquer & oil finished floors to keep your floor looking at its best. This involves vacuuming, deep cleaning & then applying a maintenance coat of a product appropriate to the finish of the flooring. Existing wooden plank & parquet floors that have been neglected or have spent a number of years hidden beneath a carpet can be transformed when sanded back & refinished. However, they will often require some remedial works prior to beginning the sanding process. You may find with plank floors that there are split or broken boards or that there are signs of rot. With parquet floors you may find loose blocks or that blocks become loose on removing the grippa rods that held the carpet in place. Before we begin the process of sanding the floor we will address these issues. If necessary we will remove damaged or rotten sections & replace them as required with reclaimed material in keeping with the rest of the floor, this also gives a good opportunity to check the condition of the joists the floor is fixed to. If any work is required we will advise the customer of what we believe is required & carry it out prior to the boards being laid back down. 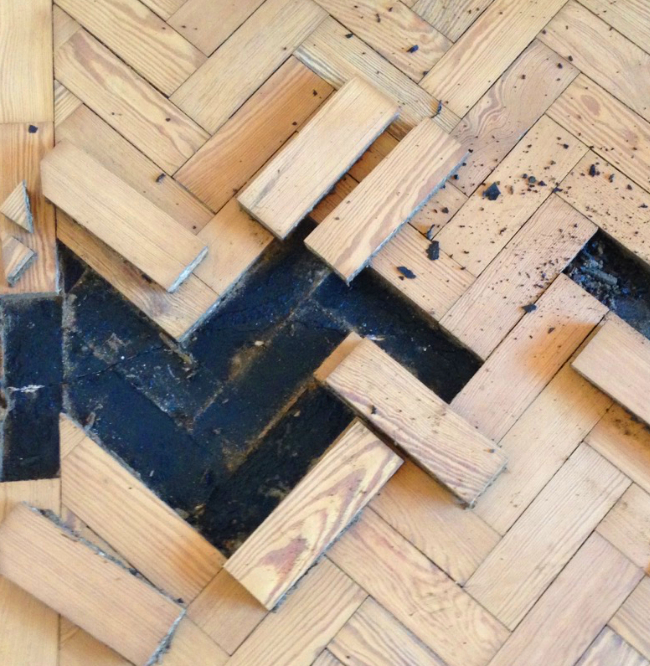 Loose parquet blocks will be removed, cleaned up & re-fixed with an adhesive that is compatible with the bitumen that you will find has been used originally. The sanding process can then begin. Proper sub-floor preparation is essential to a well-installed floor. Any new floor is only as good as the sub-floor it is laid on. 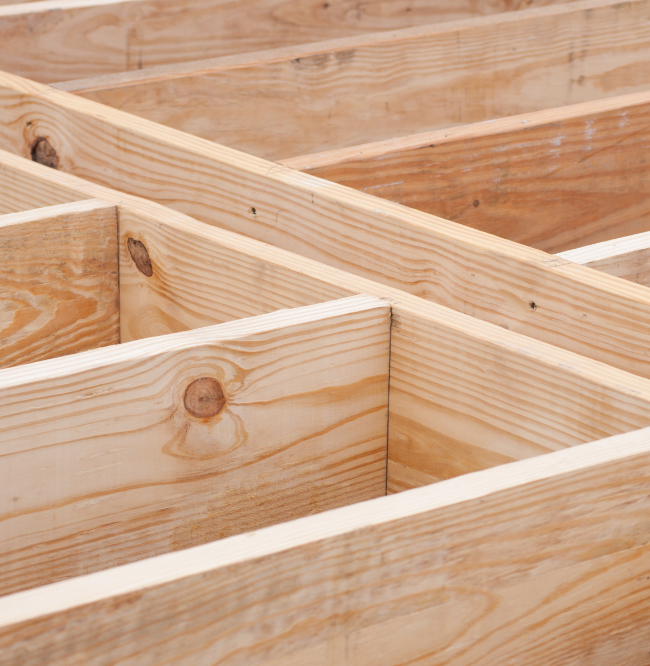 We will undertake all necessary works, from making sure the underlying joists are sound and free from rot, that the planks, chipboard or ply of the subfloor are well fixed, overlaying with plywood, to applying fibre reinforced self-levelling compound to uneven concrete screeds. We check the sub-floor moisture levels and use the appropriate damp proof membrane or primers to suit the material and method of installation. Often it is only on exposing the sub-floor that it becomes apparent what work is required. When we find it necessary to carry out work to a sub-floor we will consult with the client & agree on the appropriate course of action before proceeding.